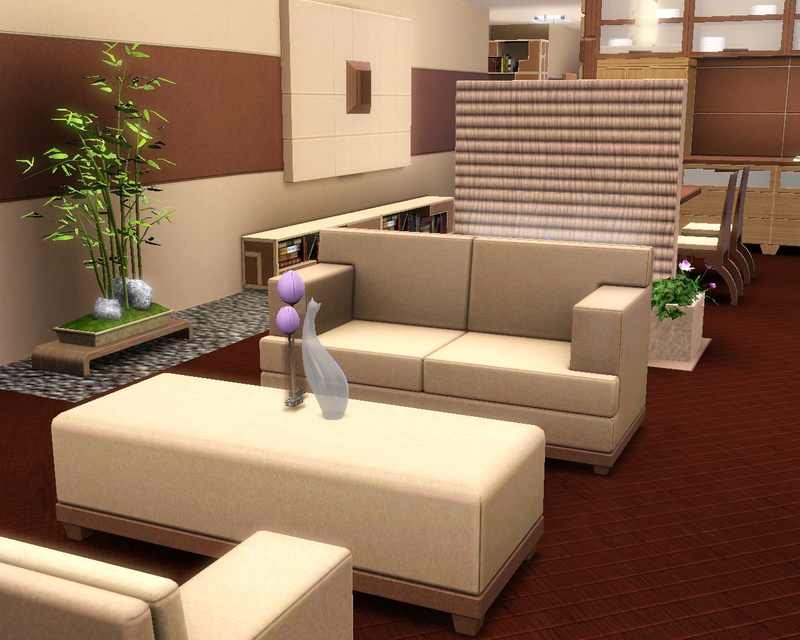 Fully furnished and decorated family home with modern interior. 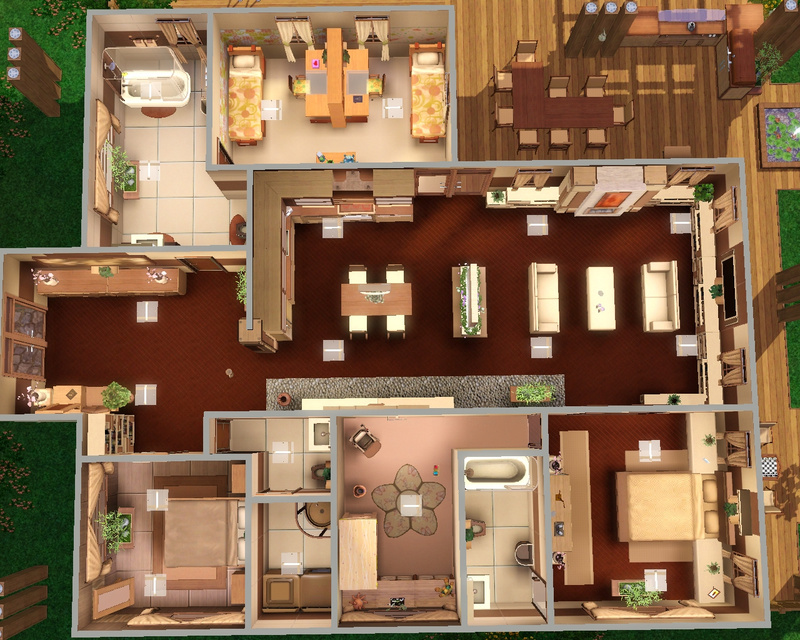 3 bedrooms, nursery, 3 bathrooms, laundry. 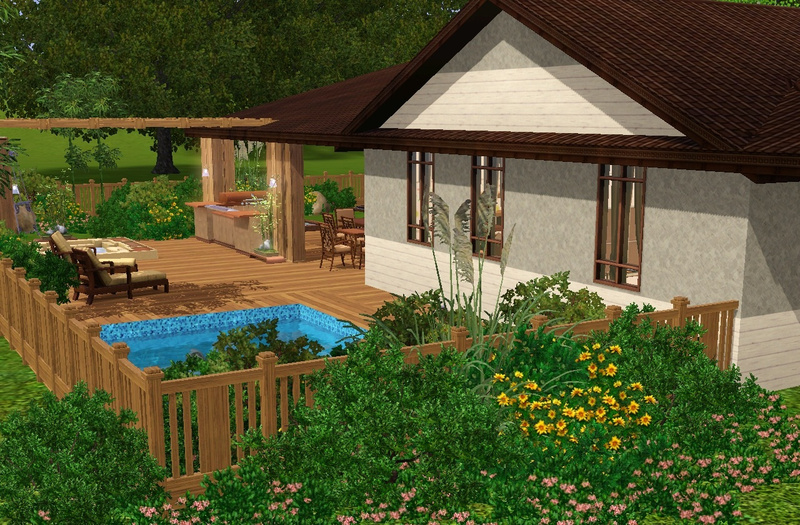 Pretty garden with pool, spa- and barbecue-area. 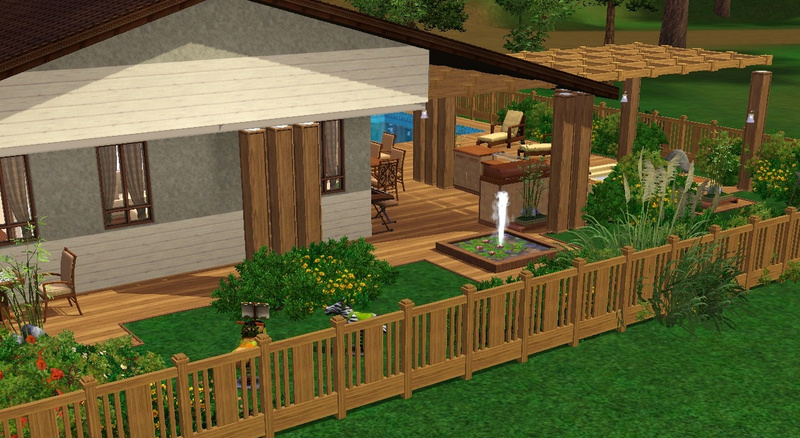 Everything improved to unbreakable or fireproof. 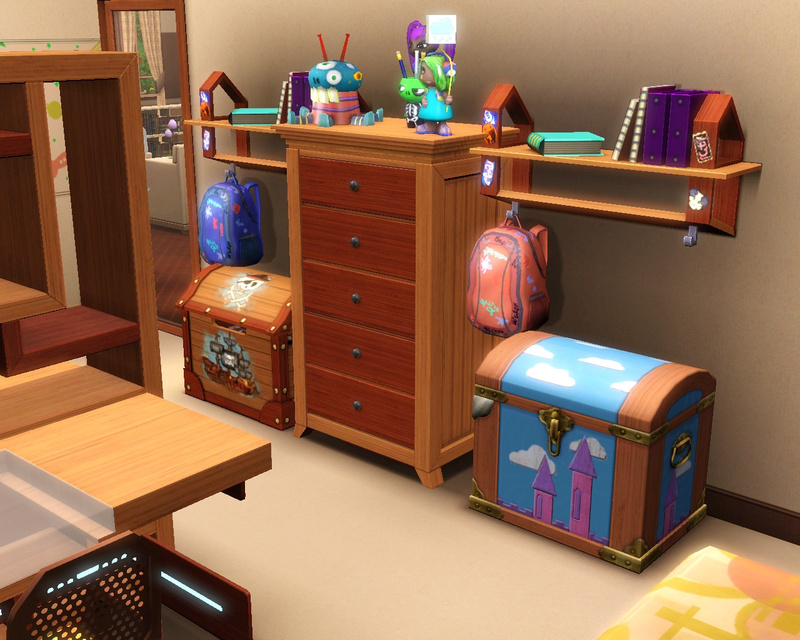 No custom content and tested in game. 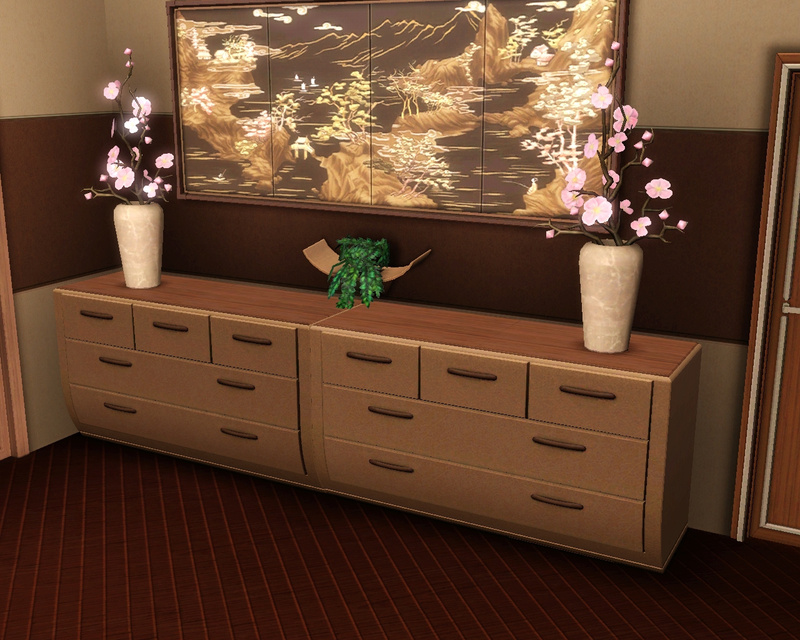 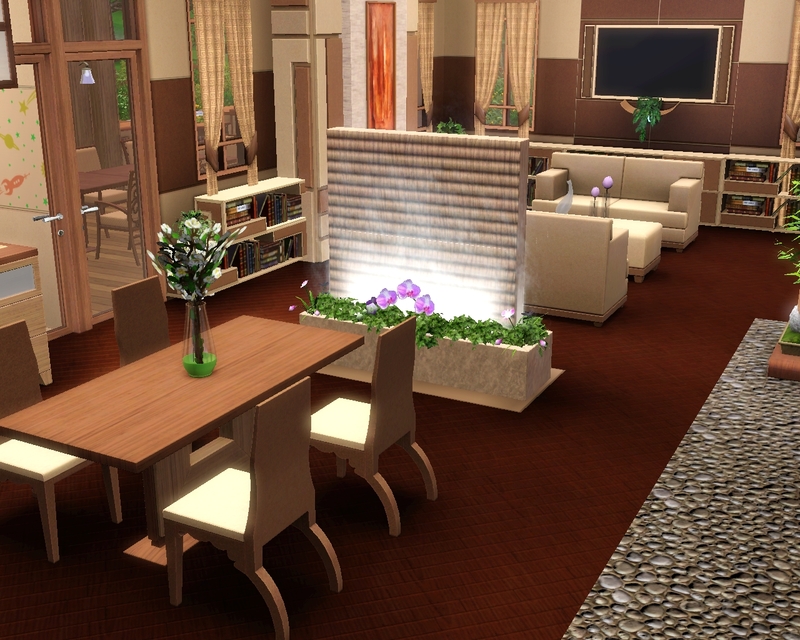 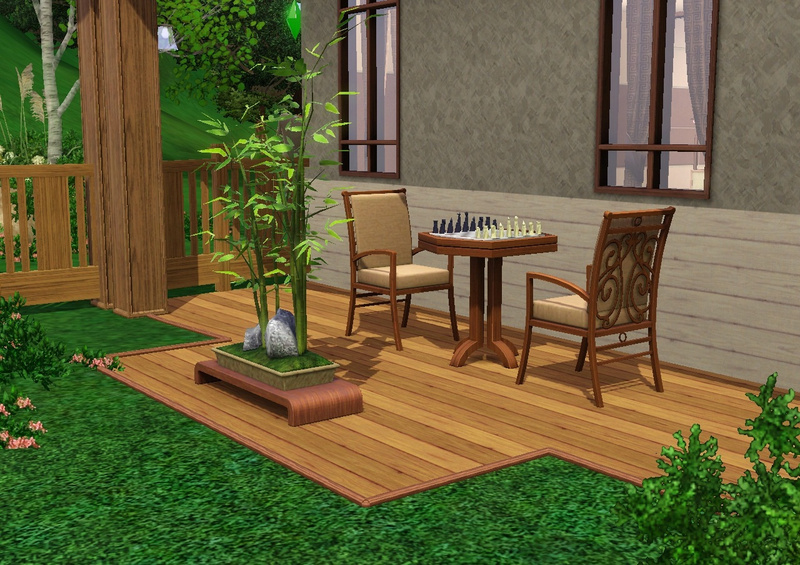 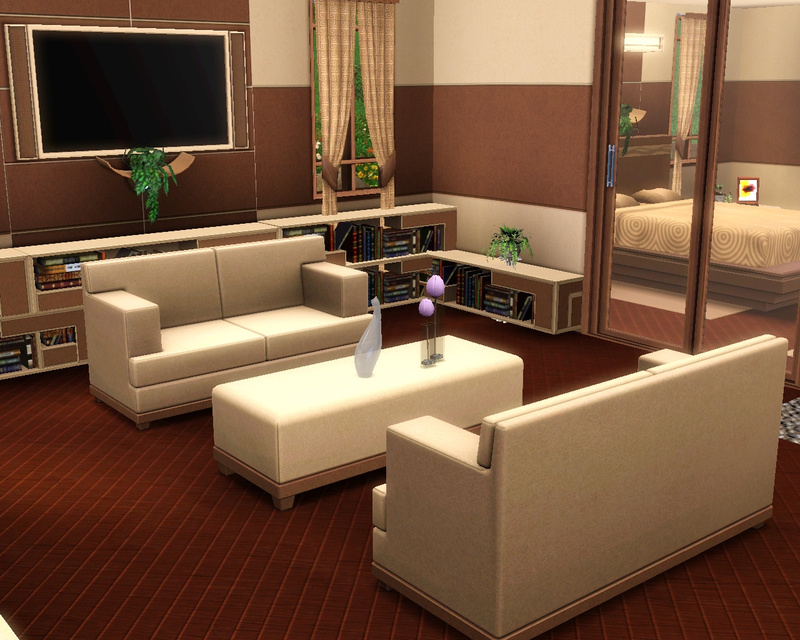 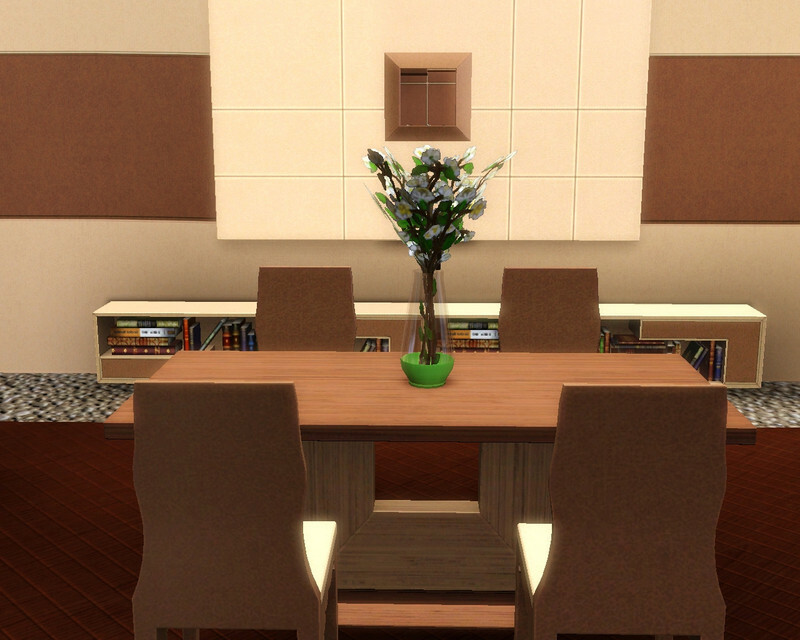 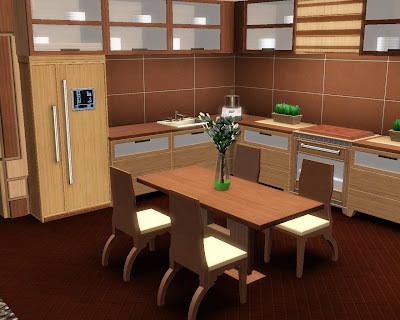 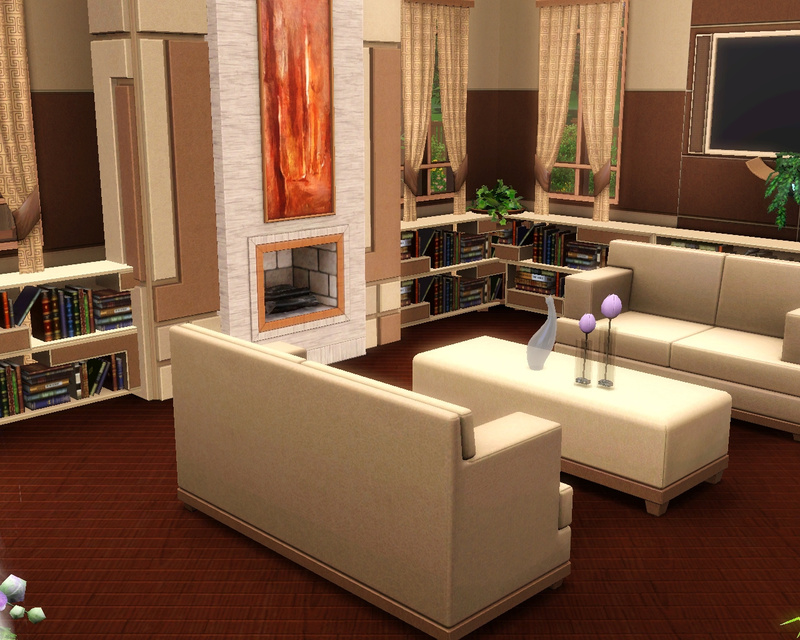 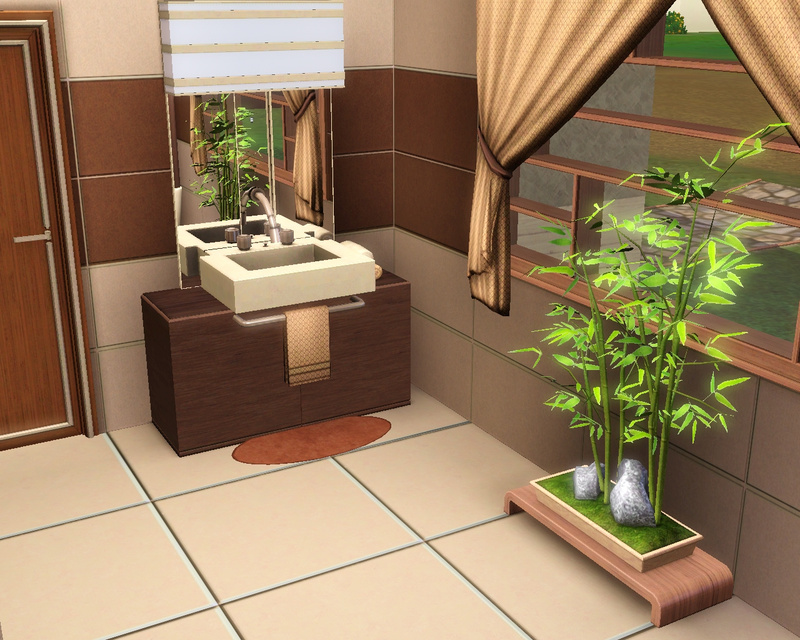 Some sims3store items were used. 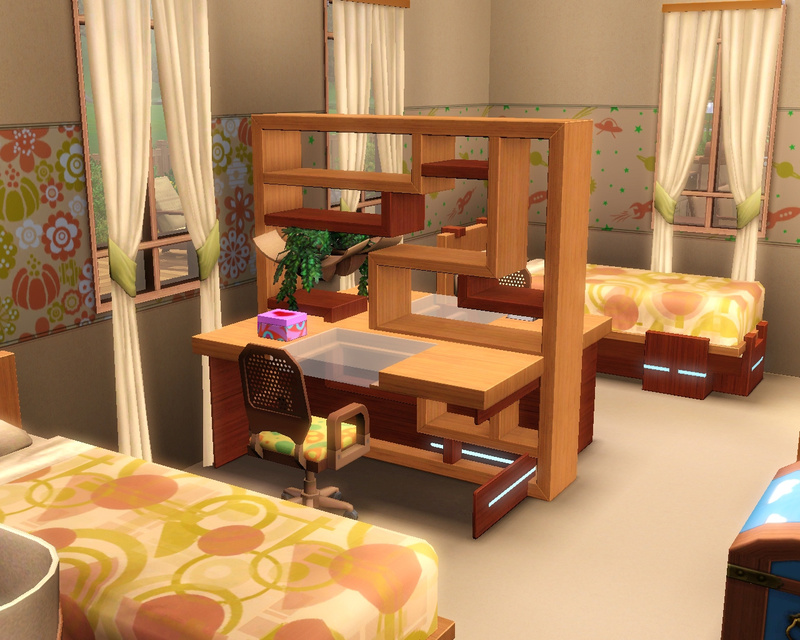 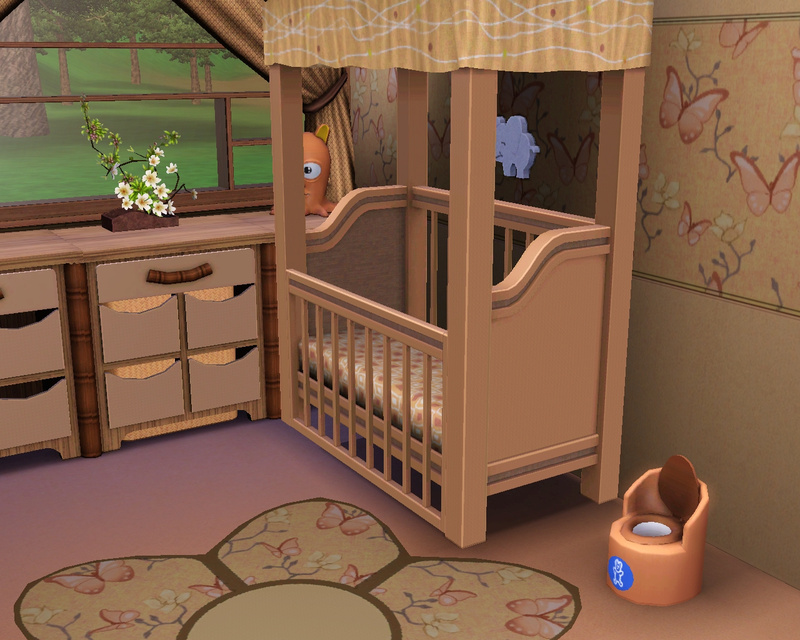 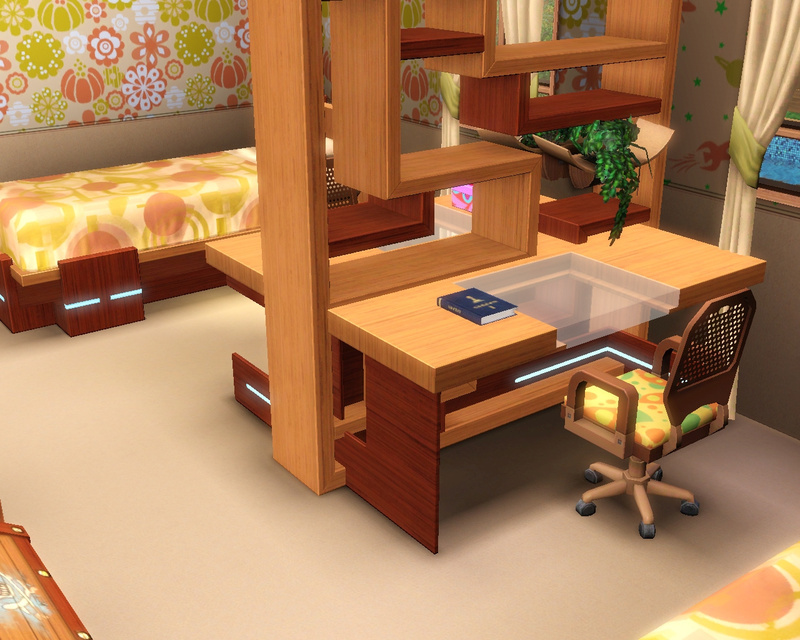 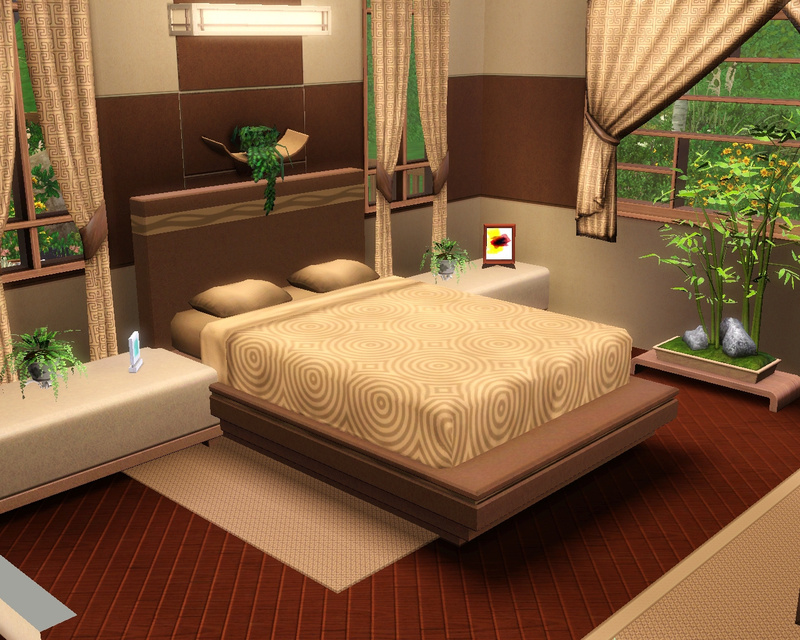 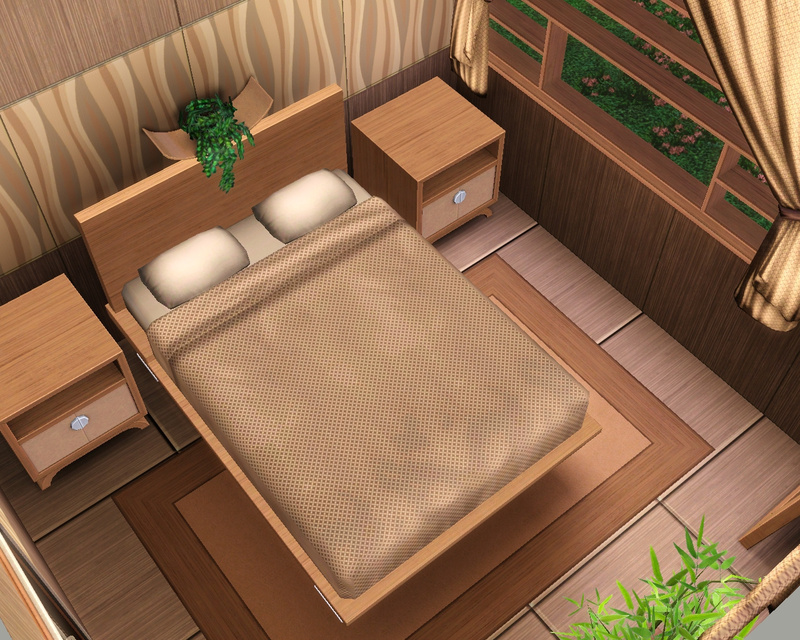 There are place up to 7 sims, but you can easily add an 'upper'-bed to one of the kids-room's bed and copy the style from the existing ones. 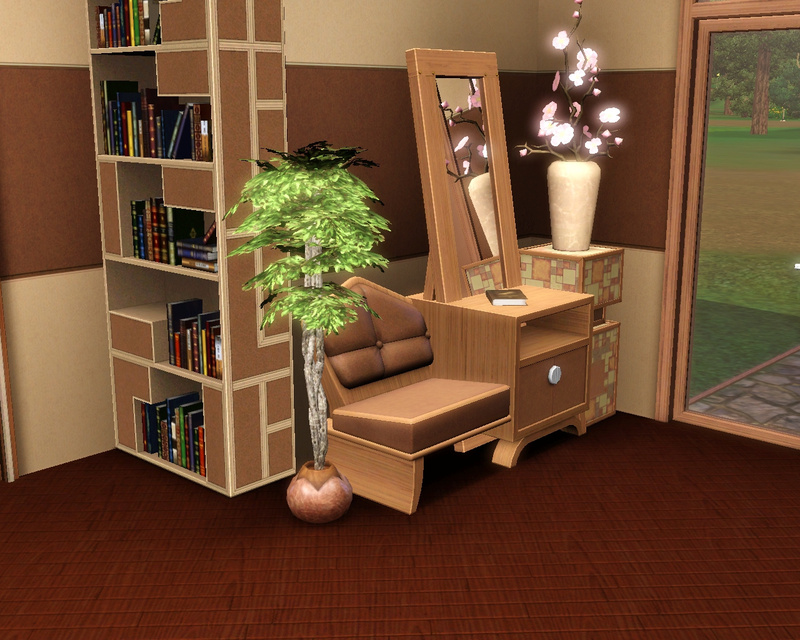 The loveseat/endtable/mirror combination in the hall is a 'reading nook' - I wanted it to be useful, so I moved the bookcase from the living room there, and my testsim usually used it to sit down and read. 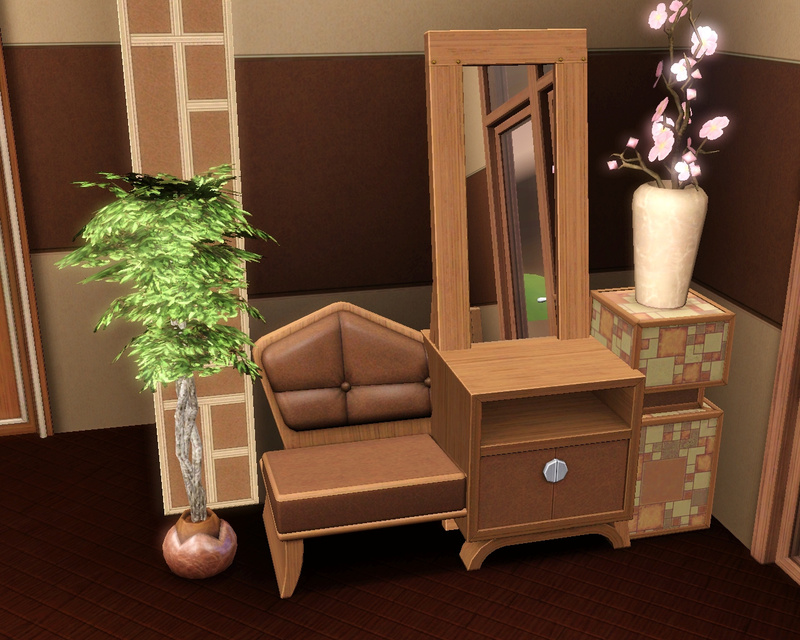 Unfortunately the standing-mirror is not accessible because of the endtable - this is the only non-useable thing in the house. 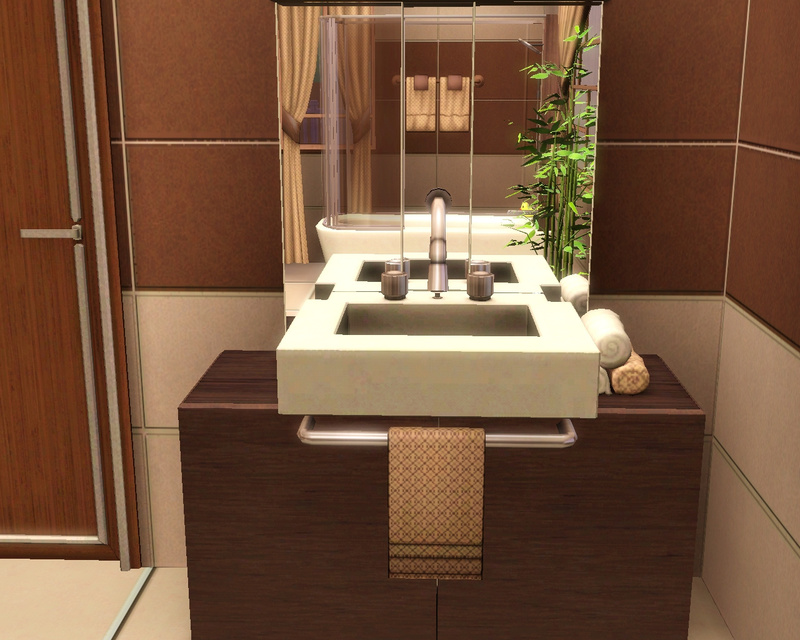 But there are more mirrors around the home, so it's a small price I paid for it. 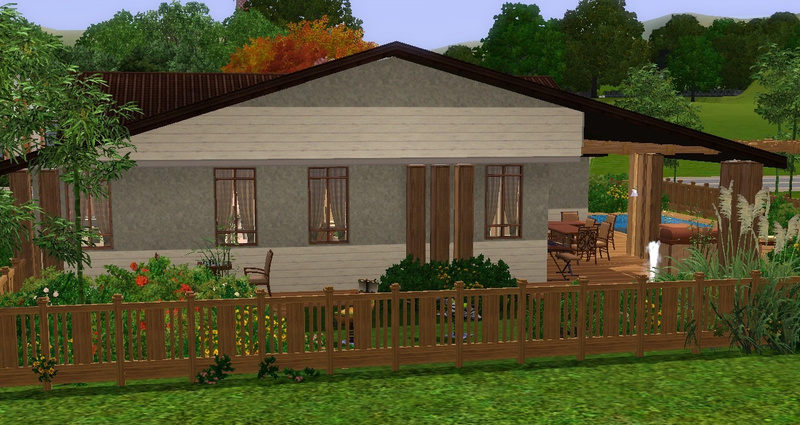 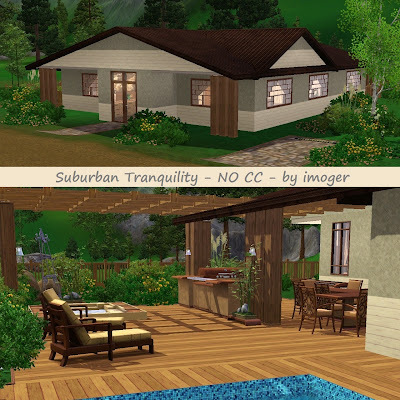 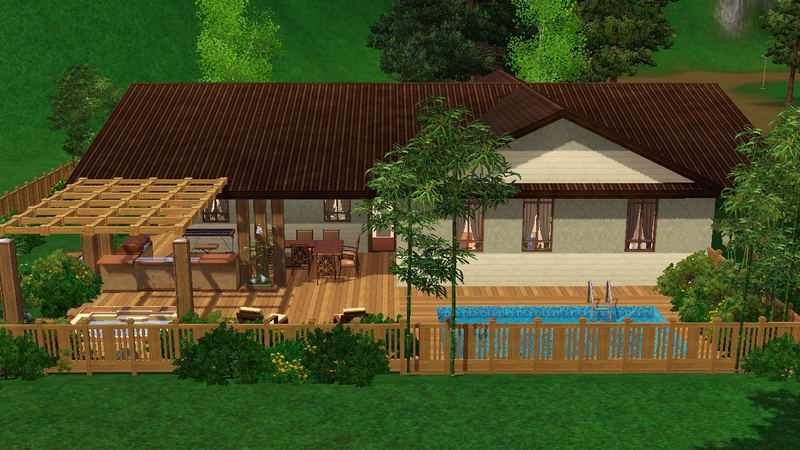 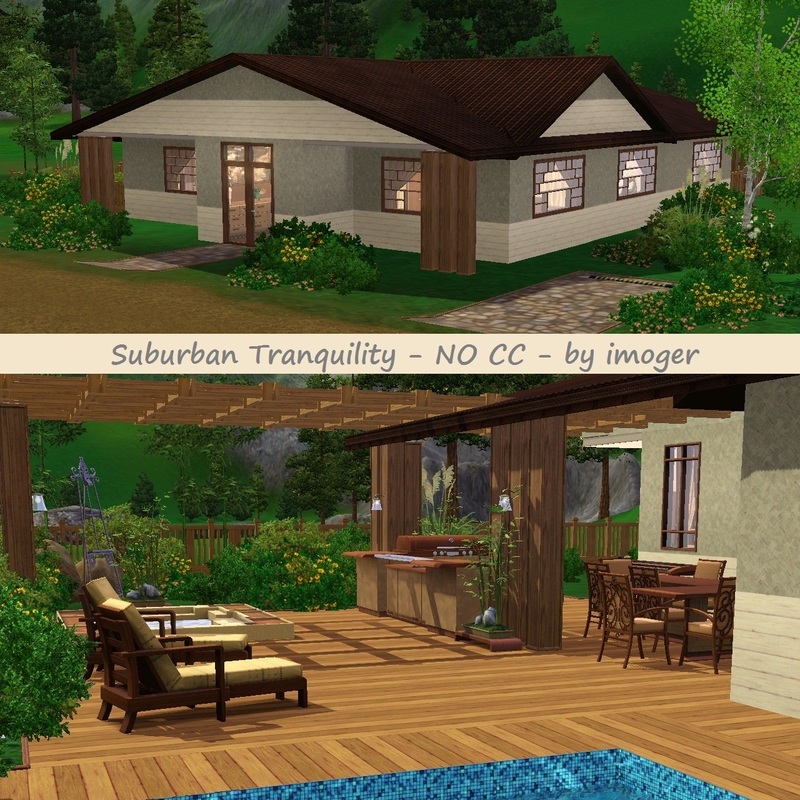 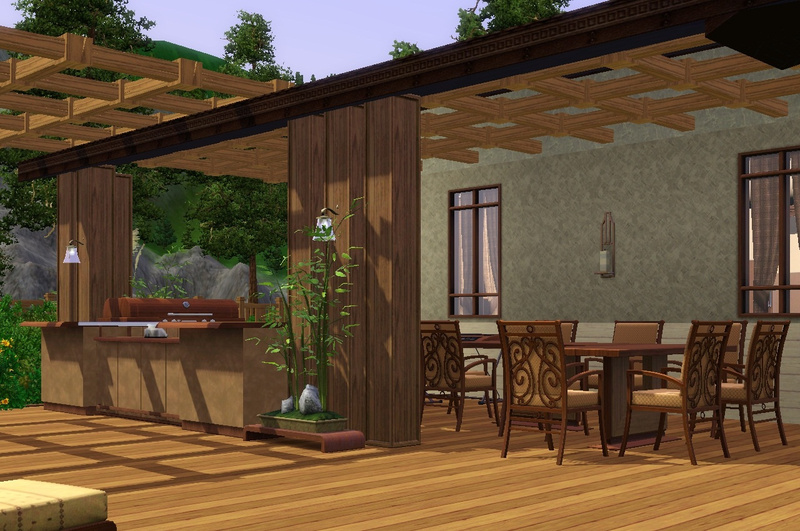 I built this lot in Riverview, but most of the pictures were made in Hidden Springs. 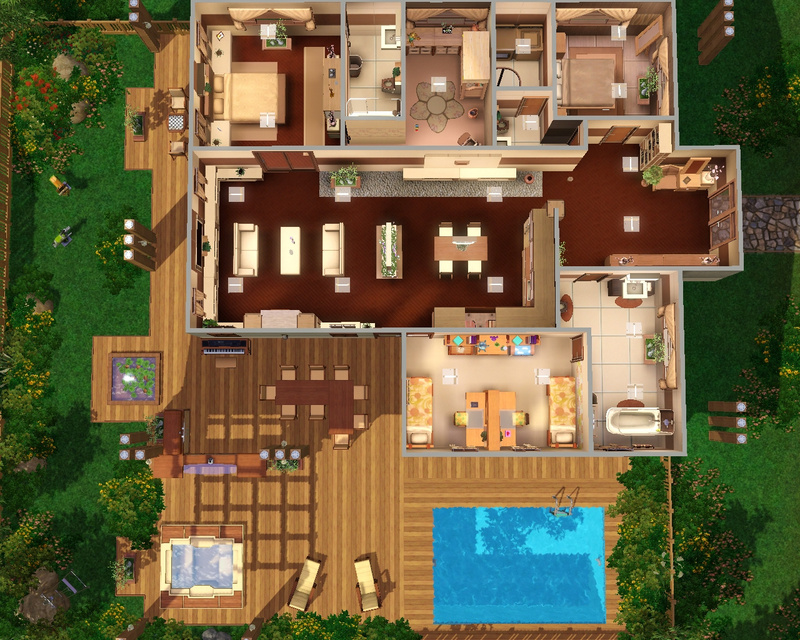 Bejegyezte: imoger dátum: 3/11/2012 12:14:00 du.